It's probably been at Hillcrest for several weeks getting repaired and its tracker just got turned back on. There were several wrecked novas at Hillcrest including 9003 8573 and a few other random units like 9128 and xx32. I am not sure if they are still their as I am on vacation and I have not been able to go by hillcrest. Trackers can't always be trusted! 1238 was tracking at malvern although it was in service at arrow road. Unless you saw it in person, it might have been in service. I wasn't specifically talking to you. 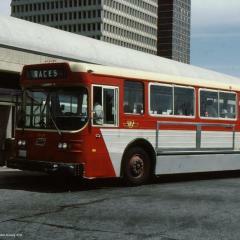 I think from now on it should be mentioned if you saw the bus in real life or on trackers. That way if it was on trackers, someone may be able to confirm that they saw it in real life. 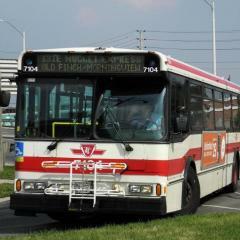 #8374 has returned to revenue service after receiving vision finally, and is currently on route 56 Leaside. Has anyone seen 7929,34 & 49? 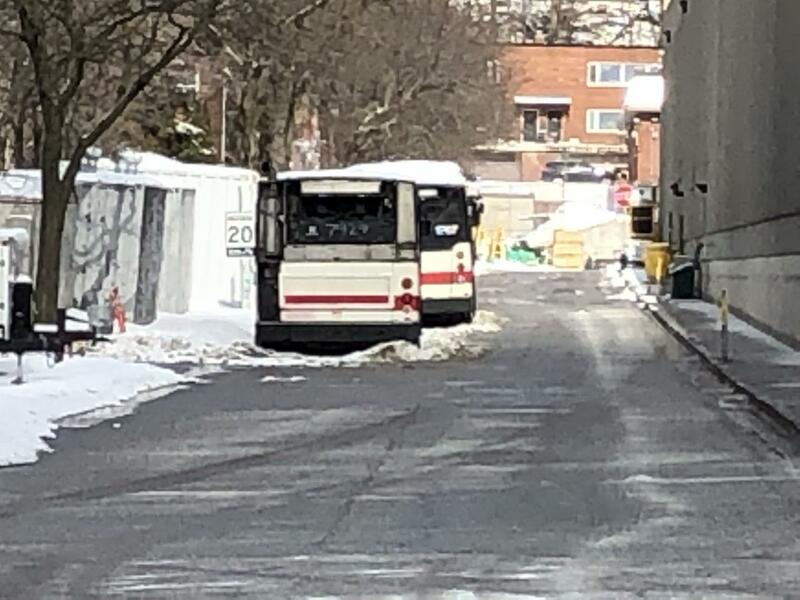 7929 has been retired for a while now, and was being used as a part bus Hillcrest, and was parked in front of retired 1767 and other retired hybrids. Back panel was removed, and was reportedly put on 1031. It Was removed from it’s usual spot about two to three weeks ago. Not sure if it’s still on property or of it was moved. 7934’s tracker is in blue because it’s tracker cannot find it’s location, and it likes to default to I am guessing is Lake Ontario. Usually buses or streetcars in the lake will go back into service later. As for 7949, this is one to look out for. Yes, JET is at Hymus and Warden. 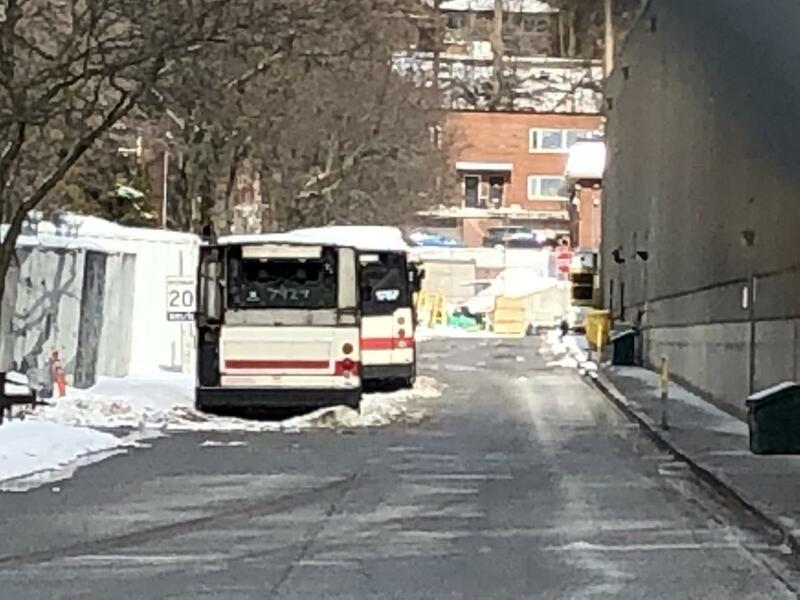 Several Malvern buses were spotted at jet the other day. From the looks of it, they were getting their a/c units worked on. 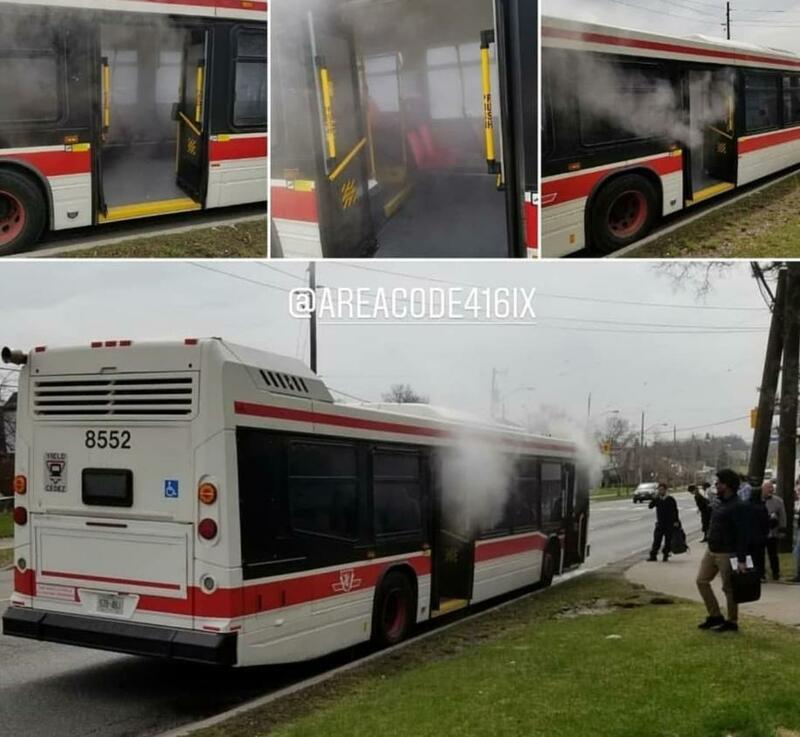 TTC #8931 returned to service today. And now it's at Hillcrest. TTC 3367 is back at arrow road it was missing in action for a bit.